The Chief Engineer Rudolf Uhlenhaut travelled to work daily with the 300 SLR. It was capable of over 200 km/h - back in 1955!! There are only 2 examples of the SLR based on Formula 1 technology in existence. 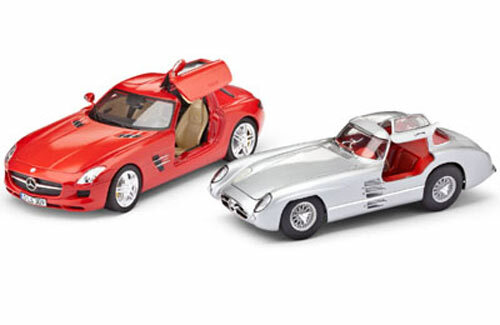 The SLS made over 50 years later pays tribute to its performance at that time with its gullwing doors and striking front. In 1983 the Golf 2 superseded its successful predecessor. As the GTI variants had enjoyed cult status ever since the first launch on 9th September 1975, this time also the idea was seized to offer a sporty vehicle broad appeal in the form of a GTI. The GTI that was available from August 1983 was regarded as the superlative Golf which skilfully combined the features of a sports car with those of an everyday car. 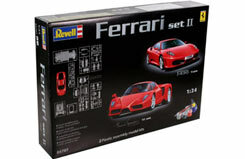 Its 1.8 litre four-cylinder engine offered a capacity of 112 hp with a top speed of 191 km/h. As before, this 2nd generation GTI caused the hearts of many tuning enthusiasts to beat faster. Often the installation of a twin headlamp grille with decorative red frame was a must. 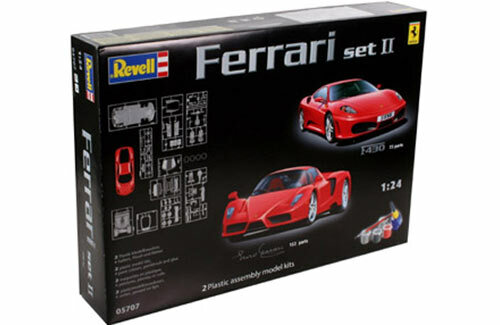 Accessories in the engine compartment such as a 16V intake bridge was popular. 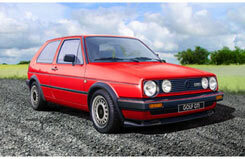 The Golf 2 GTI was made until 1992. The Red Bull RB8 was developed like its predecessors under the direction of Adrian Newey. 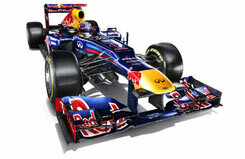 The biggest problem for Chief Designer Adrian Newey was that the new car should be even better than the best car of the previous year. Only detail changes were made. The result proved the Englishman right - Sebastian Vettel was able to secure himself the World Championship Title for the third consecutive time in a thrilling final. 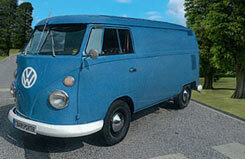 The Volkswagen Van, internally designated VW Type 2, was mass produced from 1950onwards. The technology used in the van with its typical V-shaped front section came from the VW Beetle. The van became popular due to its enclosed sides and was used as a commercial transport vehicle by all kinds of companies. The 250 GTO - which is still regarded as one of the most beautiful Ferrari's ever, was designed primarily for private use but at the same time to be capable of winning all races in the three-litre class. 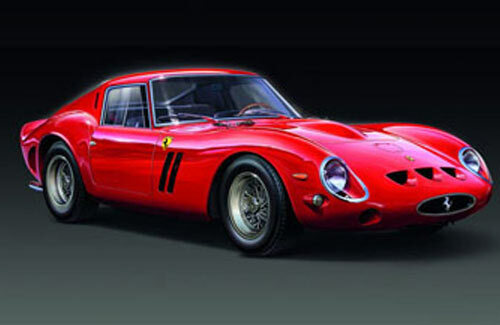 For three years (1962 - 1964), the GTO inimitably dominated this class of racing. Acceleration from 0 to 60mph - 5.6 seconds, 300 Bhp, Maximum Speed 280 km/h (155mph). 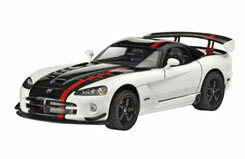 The Dodge Viper is the embodiment of the modern American Muscle Car. 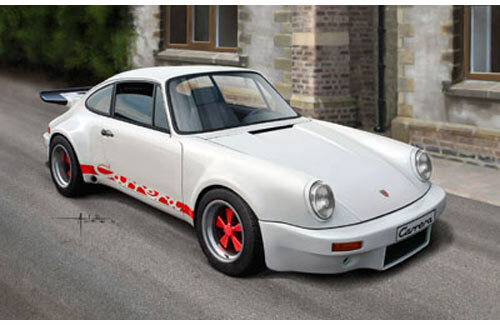 Available since 2008 the ACR (American Club Racer) version produces 600 Bhp, has a peak torque of 760 Nm and a top speed of over 320 km/h (199 mph). The Dodge Viper SRT10 ACR is a Super Sports Car uncompromisingly prepared for motor racing, but also approved for use on normal roads. Item Name: Dodge Viper SRT 10 "ACR"
The concept phase of the BMW M3 began in 2010 in order to prepare it to compete against experienced competitors in the German Touring Car Championships (DTM). The M3 is powered by a completely newly designed four-litre engine which delivers a good 480 bhp. 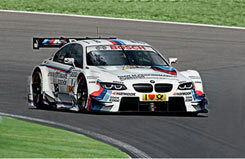 Success at the end of the season showed just how good the new car was: BMW won the manufacturers' title ahead of Audi during its firstyear of participation in the new DTM. 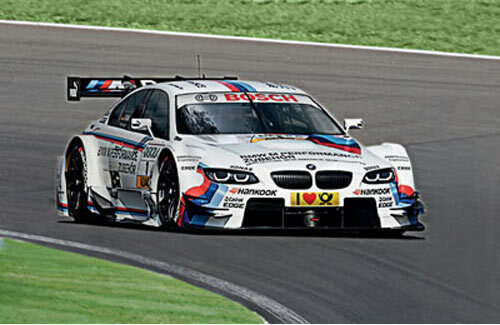 Martin Tomczyk, the DTM champion in 2011, only moved to BMW in the Autumn of 2011. In 1956 Sir Alec Issigonis was commissioned to develop a small and economical family car with space for four persons and their luggage. To achieve this he used a transverse front engine with the gearbox located under it. This completely new and absolutely revolutionary concept was an enormous space saver. 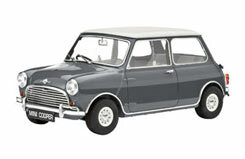 Consequently every cm of room in the 3 m long MINI was used and the relation between size of interior and external dimensions was unique and unequalled. The sporty version of the MINI bore the name of the tuner John Cooper. With over 39,000 sold, the MINI Cooper Mk. 1, which delivered 55 hp and a top speed of 139 km/h, was the most successful Cooper variant.